An apple for the teacher. 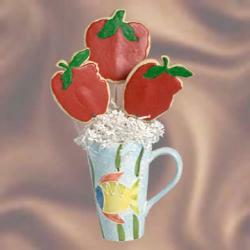 Apple cookie measures 4" x 3" and 3/8" thick. individually or in a basket. Mug designs may vary.